How can I add Adobe word to my web page? I'm not sure I know of Adobe word? Do you mean an adobe reader file (.pdf) ? 3. Link the pdf file to the File icon. here is the builder with the sidebar opened and the File icon demonstrated. Simply drag this onto your page. 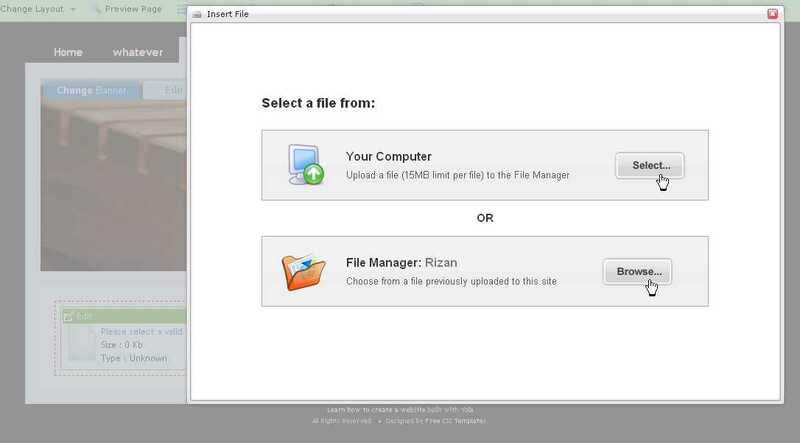 This shows the file manager dialogue and the option to select your file from your PC or from the File Manager if it has already been placed there. here in the builder you will see the file (pdf) icon and the tile of the document placed on the page. This is the published page and you can see the title of the document that simply needs to be clicked and it will load and display on your site.